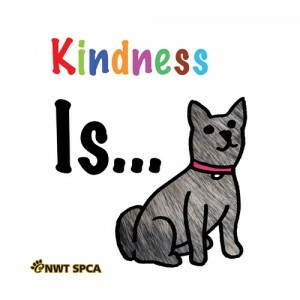 Kindness Is… combines high contrast imagery, bright colours, and textured images into a picture book that infants and toddlers will love, while also teaching young children the basics of responsible and kind pet ownership. The book features real dogs from the NWT SPCA and YELLOWKNIFE. Proceeds are donated to the NWT SPCA.